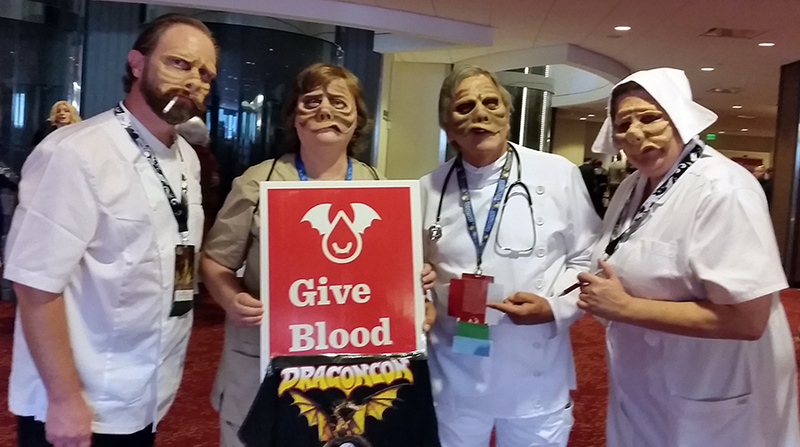 Cosmetic surgeons and nurses from Eye of the Beholder, LLC, solicited prospective blood donors on the Ballroom level of the Hyatt on Sunday afternoon. “Eye of the Beholder” is episode 42 of the The Twilight Zone. Directed by Douglas Heyes and script by Rod Serling, the episode originally aired on November 11, 1960, on CBS.